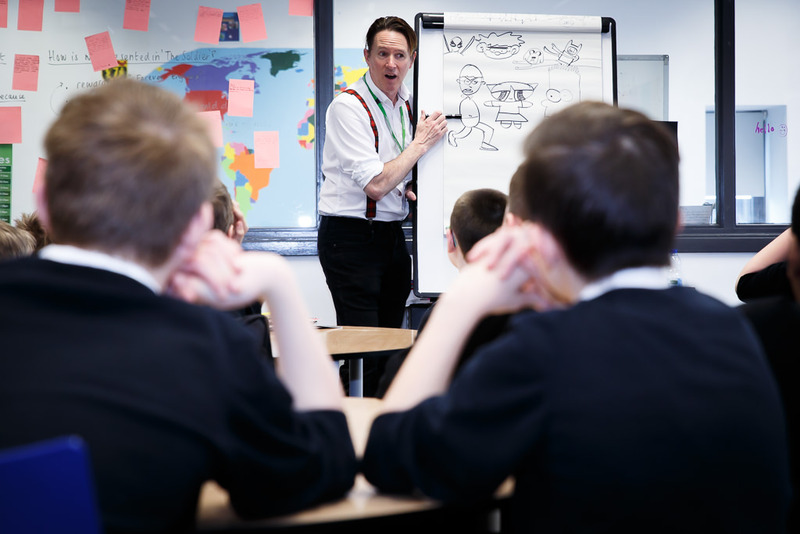 Kev F Sutherland, a renowned comic book artist who has worked for publications including the Beano, Dr Who Adventures and Marvel, visited the JLV to unleash the creative writing skills of some of our y7 students. We started by exploring some of the comics Kev has created, then learnt how to draw characters like Bart Simpson and the Hulk using just letters and circles! 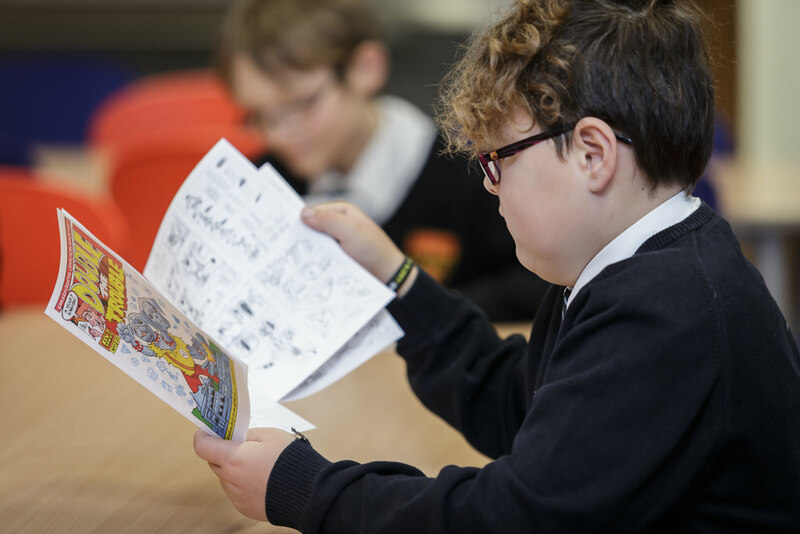 As part of the masterclass, each student had to invent their own comic book character and learn the basics of comic book design and layout. Students then had the opportunity to work directly with Kev on their individual story strips. 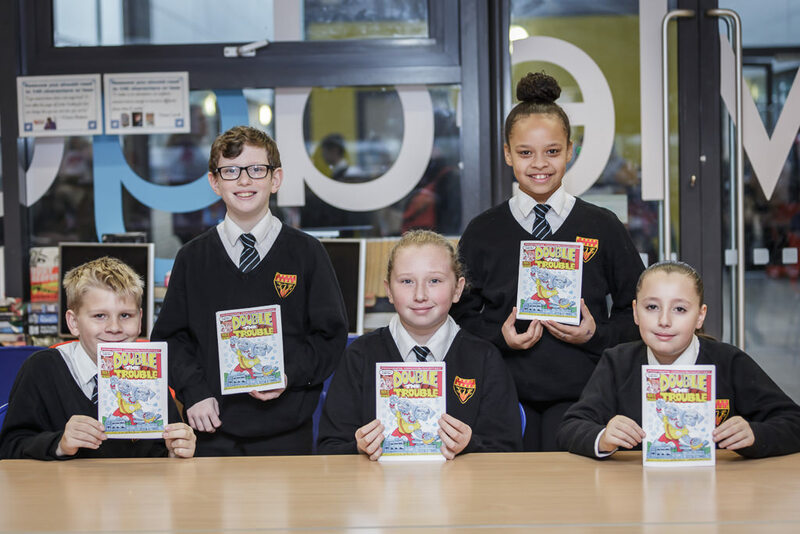 In just 2 hours, the students produced a comic containing each of their individual stories! Kev also drew a caricature of each student to take home. We’re very grateful to Hexham Book Festival for this exciting opportunity and hope to welcome Kev back again next year.